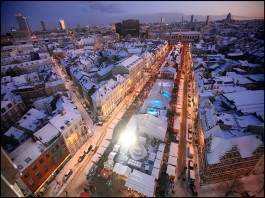 Should you visit the city during this period in August, walk into Brussels’s most celebrated square and you will find the entire Grand Place enlivened with a carpet of begonia flowers. 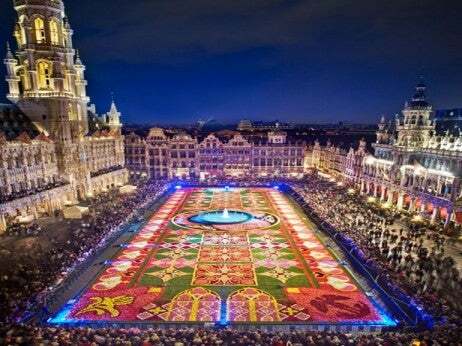 Thousands of these florescent tropical flowers are annually made into a carpet by hundreds of gardeners and laid on the cobbles of the Grand Place. Their stunning colors are carefully grown especially for this occasion and their symmetry reflects the baroque grandeur towering above. The finest view can be had from the balcony of the Hôtel de Ville, particularly when the display is officially opened on 15 August with a concert and fireworks.